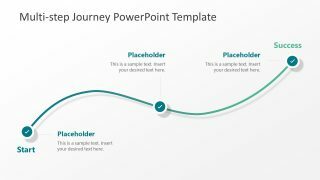 The Journey Concept PowerPoint Template is a workplan timeline template for goal oriented projects. 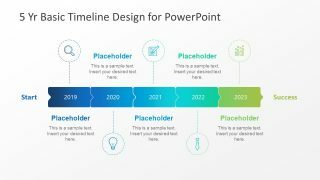 It is useful in timeline and planning presentations to display plans divided into phases. Such as, continuous process model, sales and marketing strategy, project progress and more. The journey concept of overcoming hurdles is fit for business presentations. The track field and drills captures the design of progress and boost productivity. 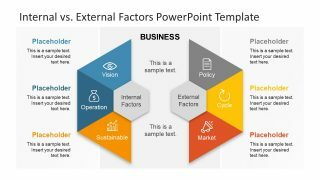 This presentation PowerPoint is a roadmap to success where problems define in phases. It helps visualize the objective and prioritize them accordingly. The unique timeline and planning layout supports the continuous performance. Moreover, assists in faster problem solving and decision making at each phase. 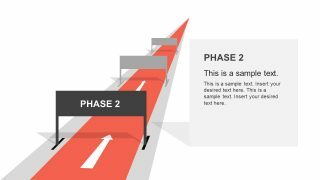 The Journey Concept PowerPoint Template shows three stages through a hurdle illustration. The first slide gives an overview of hurdle drills as phases. Whereas, the next three slides present one segment which helps audience focus on one topic unit at a time. For example, the template can present three major phase of software development project. These include, planning and design, development, testing. The development can only begin if planning and designing process is complete. Similarly, testing cannot occur unless the application is develop. The journey concept phase template is a plain design create with editable PowerPoint shapes. Users can customize it or create more steps/phases in workflow by duplicating current shapes. To do so, simply copy paste slides to create more steps or copy the drill shapes and add on the track. 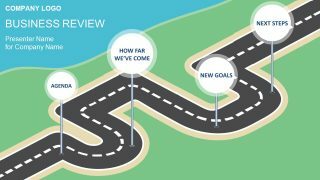 The journey concept diagram depicts clear goals and objectives in an organized order. The engineers and managers can make present their project timeline through phases. Specially the civil construction field professionals can use this PowerPoint to illustrate workflow of project. 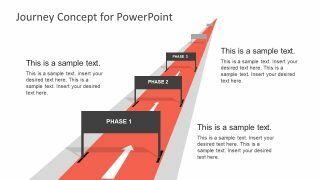 This template helps create a presentation in minutes by simply adding relevant content in text placeholders. This helps users to save time and focus more on successful implementation of processes. It can also present awesome new startup ideas as well as the project management methodologies.